Demonstration by Derek Weidman – "Multi-axis Sculpture- Drawing with a lathe"
Derek has dedicated the last seven years to exploring lathe-based sculpture. His approach involves multi-axis turning as the foundation of his work. By using the unique lathe shaping and carving processes Derek has created novel representations of a wide range of subjects, from human heads to rhinos, mandrills to birds, each idea being captured in a way it has not been expressed before. 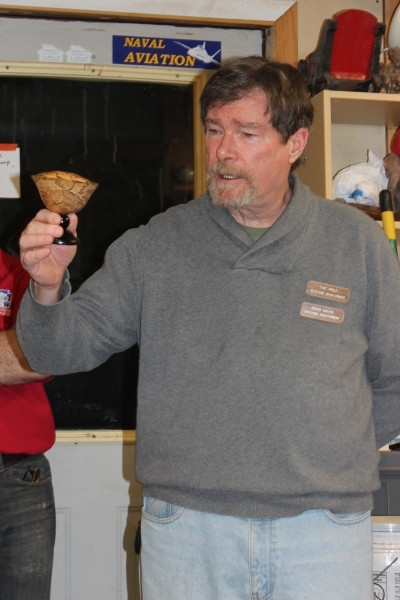 He works in rural Southeastern Pennsylvania, a members of Bucks Woodturners, and has been a demonstrator at the national AAW Symposium and many local clubs. His work is in top-end galleries around the country and has also been included in a number of exhibitions. 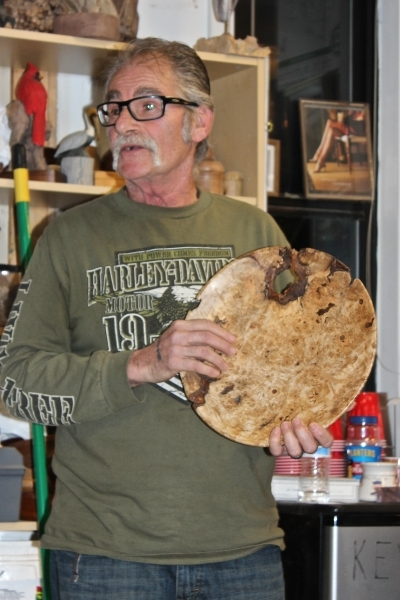 Derek was honored as an Emerging Artist at the 2011 AAW Symposium. 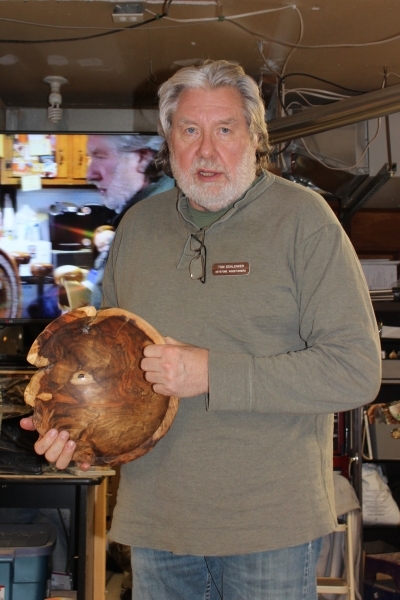 Visit his website to see the scope of his artistry: http://weidmanwoodsculpture.com/. His approach involves multi-axis turning as a foundation for his work. By using the unique shaping process of turning Derek has created a descriptive visual language that only the lathe can speak. This carving process creates novel representations of a wide range of subjects, from those based on human anatomy to various animal forms. Derek works from a basic question, “What would this look like if rendered through the lens of a wood lathe?” and even with the most rigorous naturalism, an honest abstraction takes place, and for each new subject that question gets answered. So from human heads to rhinos, mandrills to birds, each idea is being captured in a way it has not been expressed before. Through the Beads of Courage campaign, children receive a unique bead to represent each procedure or treatment. For example, a red bead for each blood transfusion, a yellow bead for each night in the hospital, a star bead for surgery, a white bead for chemotherapy. 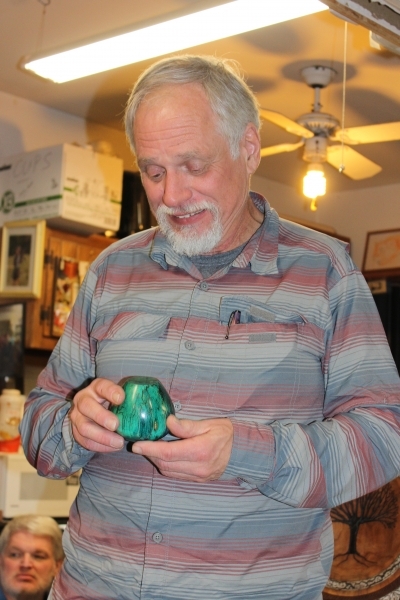 Their collection of beads becomes a tangible record of their journey. Each wood-turned box will be used to hold a sick child's precious beads. 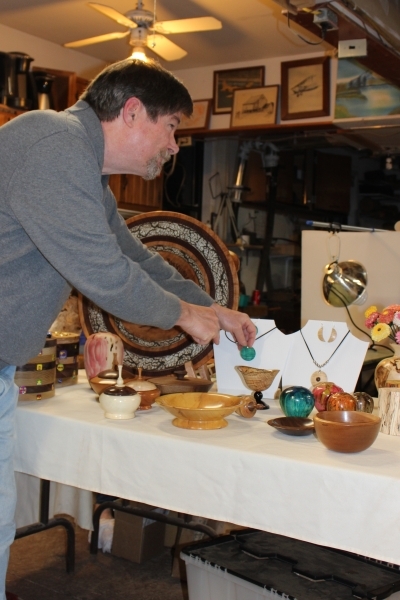 In 2015 Keystone Woodturners donated a total of 35 Beads fo Courage wooden boxes. Our 2016 goal is 50 wooden boxes through our February meeting. This entry was posted in Posts on January 19, 2017 by Robert Antonishak.